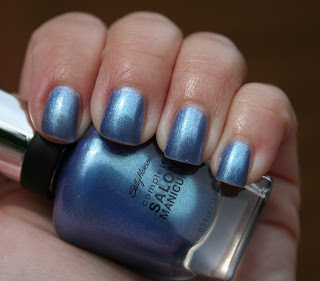 This polish has just moved onto my top 10 list. How gorgeous is that? If you have yellow undertones like me, and accidentally get a little tan like I did this weekend (not enough sunscreen!) you *must* run out and get this polish. It's amazing! This is three coats topped with Seche Vite. I am also digging these bottles- see that little black ring around the part with the brush? It's sort of a gripy thing, and it's genius-if your bottle is a bit stuck, no more asking your Mr. to help. I was unsure about the strange brush shape (it's sort of a V shape) but it worked just fine once I got the hang of it. I am definitely going to be getting more polishes from this line. I think that is a really pretty color! It looks good on you. That's a pretty color! That brush seems kinda weird and like it would be difficult to use but I'm glad you figured it out.